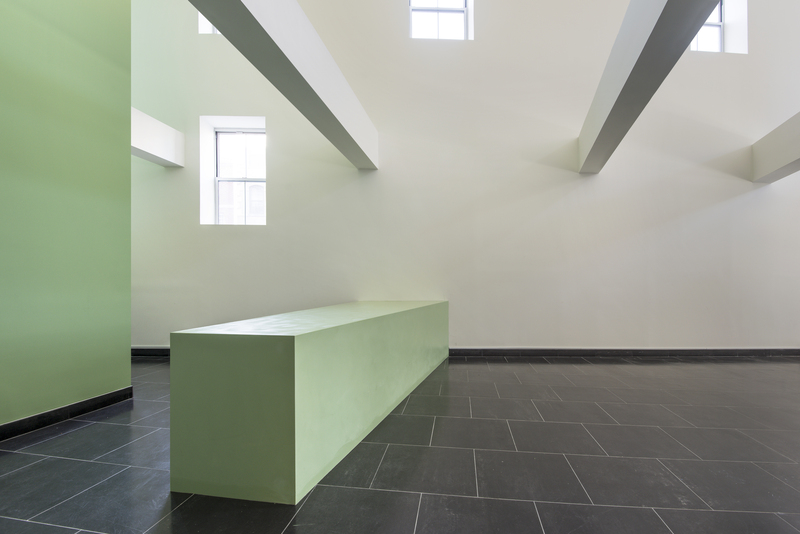 This custom built steel millwork was designed to act as a hub for all of the school announcements, and as a place for teachers to converse with administrative staff on a day to day basis. 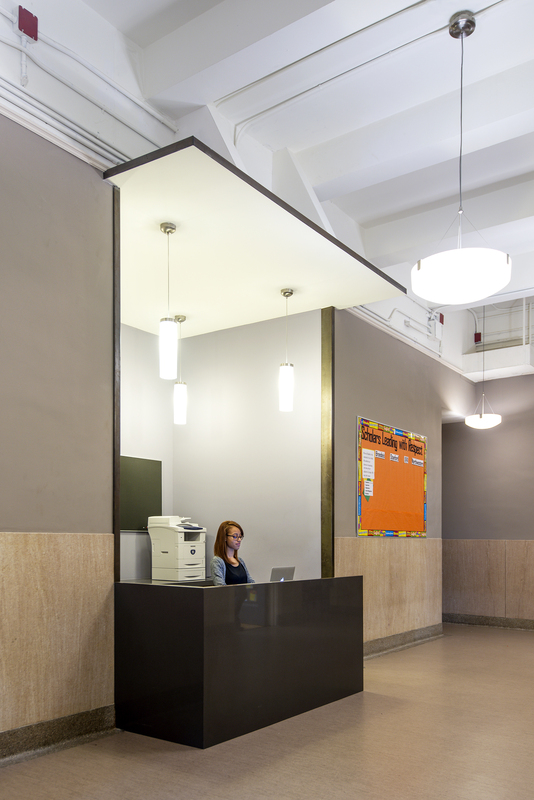 The steel edged soffit about the transaction counter utilizes the high ceilings, and provides ample light as well as a pleasing design for students and staff who spend most of their time in the school learning and giving instruction. 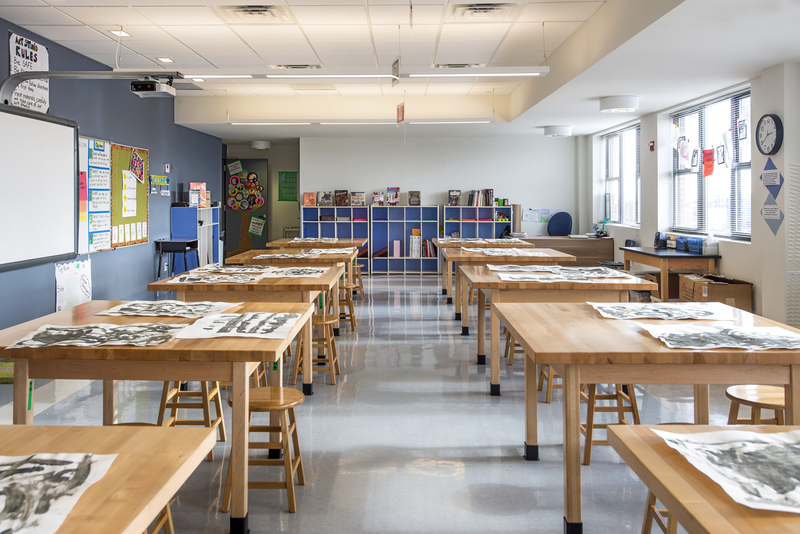 The openness and lightness of these Creative classrooms on Rockaway Avenue in Brooklyn is due to raised coffers in the ceiling grid, an abundance of natural light from large window openings on two sides of the room and an intelligent lighting design to help evenly illuminate the entire space for instruction. 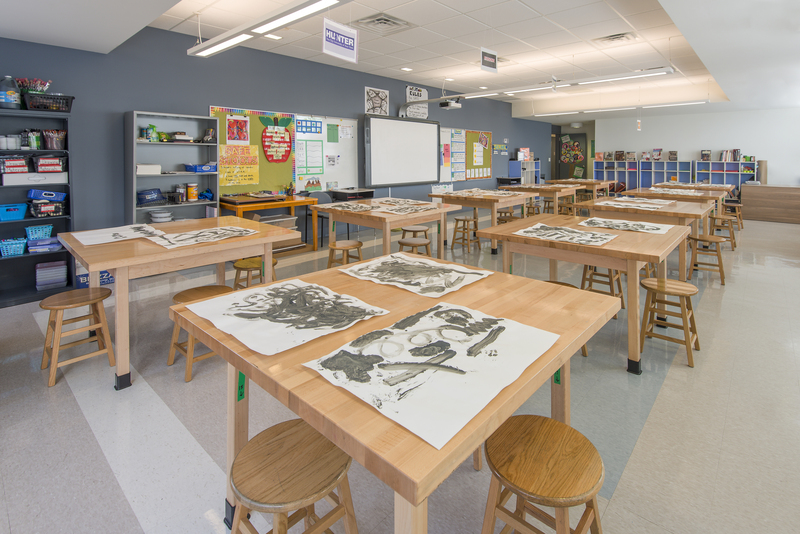 The technology on the wall is a smart marker board that incorporates both digital and analog teaching methods into a single panel. 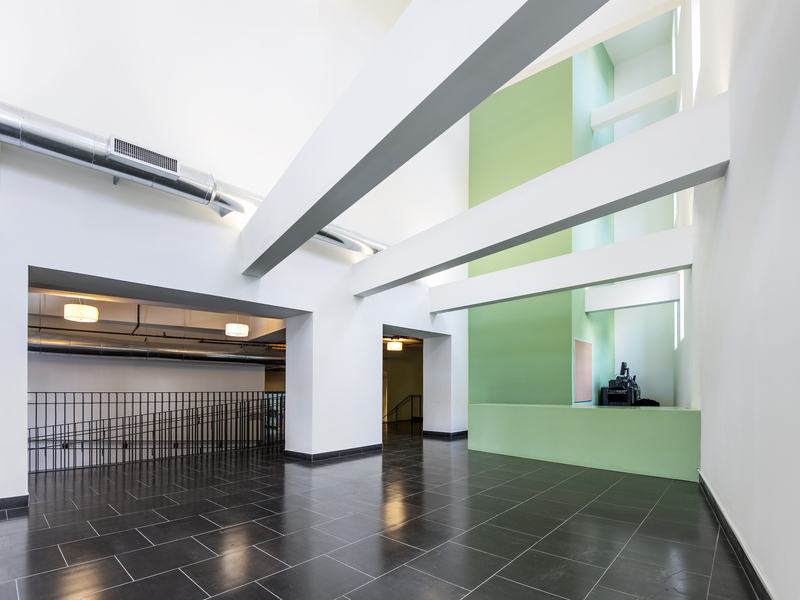 Our 98th Street School in Brownsville, Brooklyn has been completed for over a year now. 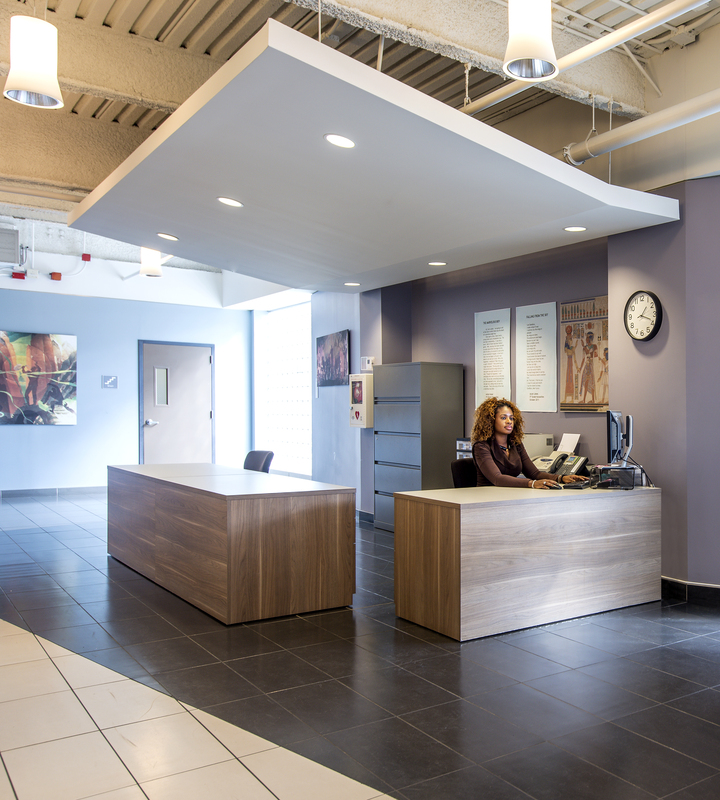 Here is a photo the and reception lobby with a suspended soffit with down-lights below the exposed ceiling.